Embassy Property Developments, a Bengaluru-based developer, has launched India's first real estate investment trust, or REIT, a full five years after the Securities and Exchange Board of India, or Sebi, came out with the relevant regulations. Called Embassy Office Parks, the REIT plans to raise Rs4,650 crore from its initial public offering. Embassy Property Developments is backed by Blackstone, one of the biggest private equity funds in the world. REITs are expected to be a game changer for the real estate industry as they will bring the much needed capital and transparency at a time the real estate sector is struggling to raise funds. Investors will get an opportunity to invest in real estate with smaller amounts. REITs work like mutual funds. The sponsor holds underlying assets (real estate) through a trust. Investors are issued units of REITs which make them a part owner of properties in the portfolio. Right now, REITs can invest only in commercial real estate, either directly or through a special purpose vehicles or SPV. The returns will come from rent and capital appreciation. Sebi regulations say 80 per cent of a REITs investments should be in completed and revenue generating assets. Also, it should pass 90 per cent rental income to investors; the remaining amount can be utilised for the main business. The Emabassy REIT fares well on this parameter. "Six of the 11 commercial office assets of Embassy Office Parks report over Rs100 crore revenue from operations and only two (out of the 11) do not report any revenue. Hence, the Embassy REIT qualifies the income producing asset criteria as 89 per cent portfolio is operational and generating income. The payout will depend on how the trust decides to distribute the gains, that is, via dividend or rental income," says Purnima Nair, Associate Economist, CARE Ratings. Low investment requirement: The minimum investment amount has recently been reduced to Rs50,000 from Rs2 lakh. But as Embassy REIT got clearance before this, its minimum investment is Rs2 lakh. The amount, small for a real estate investment, is still a bit on the higher side.Diversification: Achieving diversification in commercial real estate is difficult as for that you would have to buy multiple assets. A REIT is able to provide diversification with a small amount. However, while investing, you should check how diversified the portfolio is in terms of geography, types of assets, etc. Embassy Office Park, for instance, has a diversified portfolio with 160 tenants spread across sectors such as technology, healthcare, telecom and financial services. The portfolio comprises seven office parks and four city-centre office buildings with total leasable area of 32.7 million sq. ft. However, the portfolio is a little skewed in terms of geography with Bengaluru accounting for 17.2 million sq. ft. of the total leasable area and the rest spread over other Pune (8.9 million sq. ft.), Mumbai (2.1 million sq. ft.) and Noida (4.7 million sq. ft.). This is besides two operational hotels, two under-construction hotels and one operational solar park. The top 10 tenants contribute 44.8 per cent to gross rent, which makes the investment prone to concentration risk. Sponsor profile: The pedigree is important when investing in real estate. Embassy is a leading Indian real estate company which has completed over 45 million sq. ft. of office and residential development. It also has the backing of Blackstone, one of the world's leading investment, real estate and alternative asset management firms. "The Embassy REIT clearly scores on strong promoters and angel investor," says Purnima. Growth prospects: "REITs by definition are a sustained income model as opposed to a capital appreciation model. Capital appreciation will come in the form of escalation in rentals and resetting of unit price. It will be for those who want slightly more than bond yields without taking too much risk," says Vamshi K.K. Nakirekanti, Executive Director & Head, Valuation Services, India, CBRE South Asia. The growth of the portfolio will depend on the growth in rentals, which in turn will depend on the performance of the real estate sector. "Leases are typically structured for nine years with a 15 per cent escalation every three years that comes to an annualised yield of 4.5-4.7 per cent," says Vamshi of CBRE. REITs have to pass on 90 per cent rental income to investors either as rental income or dividend income. Rental income is taxed at standard income tax rates. "This will lead to double taxation as the trust will deduct tax at source and investors will then pay tax on the rental income. However, gains distributed as dividend are exempt from dividend distribution tax," says Purnima of CARE Ratings. A 10 per cent capital gains tax will apply if the unit holder sells on the exchange after a period three years and 15 per cent if he sells within three years. Another way to take exposure to the real estate sector is investing in shares of a real estate company. Stocks generally have better liquidity compared to REITs. Their capital appreciation potential is also higher. But are they a better option compared to REITs? Experts believe that these are structurally two different products meant for different purposes and may suit different sets of investors. "Real estate stocks are designed as instruments for capital appreciation while REITs are focused on income creation. Since they serve two very different purposes, we believe that they are not substitutes for each other," says Vishal Dhawan, Founder & CEO, Plan Ahead Wealth Advisors. "Investment in real estate through equity is easier as it has no minimum threshold. The minimum threshold for REIT investment is Rs50,000 for a lot of 100 units and trading of REIT units after listing has to be in the multiples of one lot (100 units). Thus, lack of clarity in the mechanism of a REIT investment may dissuade retail investors from participating," says Purnima of CARE Ratings. Globally, over 30 countries have REITs. The US is the most mature market, followed by Australia, Belgium, Canada, France, Germany, Japan, the Netherlands, New Zealand and the United Kingdom. In India, so far, we have only seen one REIT, and in the absence of choices, the returns may not be very high, say experts. "I will not probably invest in a REIT because it will yield 7-8 per cent (pretax) even though they (Embassy Office Park) are promising 8.5-9 per cent. This is the global trend. REITs in the US, Hong Kong and Australia offer a pretax return of 8.5-9 per cent. And these countries have a much wider choice of assets. So, anything northwards of 8.5 per cent is a dream," says Hemal Mehta, Partner, Deloitte India. 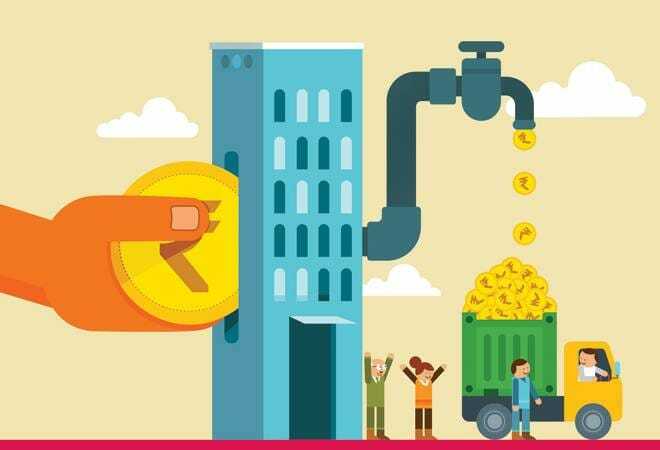 In India where interest rates are high and instruments such as small saving schemes offer close to 8 per cent guaranteed return, REITs will face tough competition. "I have to invest my hard-earned money in a REIT and get a 8-8.5 per cent return with a lot of uncertainty of what legal issues may come up. Compared to this, a bank fixed deposit gives me 7.5 per cent. So, should I take such risk for an additional 75 basis points? In bank deposits, I have liquidity. Here, I am not sure how vibrant the market is going to be. And there is an inherent risk I am carrying," adds Mehta of Deloitte. Although REIT units can be sold on exchanges, it will have to be seen how the units are traded. The volumes may not be high. Right now, REITs are not very tax efficient compared to other products. There are a few areas which need to be addressed to make them more tax efficient. For example, issue related to stamp duty payment in case of transfer of assets and exemption from DDT on distribution of dividend by SPV to SPV holding company needs to be addressed in order to make it more attractive. REIT is a good product and will give investors the opportunity to diversify across asset classes. But it will take time to evolve. Therefore, retail investors should take time to understand it and see how it performs. Only those who are sure and understand the product well should go ahead and invest.